Find These Products at a WalMart near you! 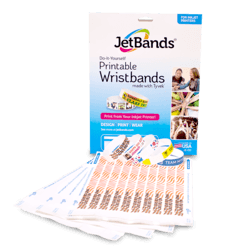 You can find two of our most popular products, JetBands and Tyvek wristbands, inside Walmart stores across the US. 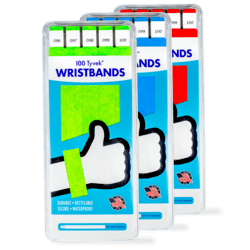 Our Tyvek wristbands are durable and waterproof, so you can even use them for outdoor activities and for events that span 1-2 days in length. Are you the type of party planner that loves anything DIY? Then check out our printable wristbands that work with any inkjet printer! We provide easy instructions to create your own designs, plus we include free, downloadable templates to get your creative juices flowing. Check out JetBands.com to learn more! Find these products in a store near you!